Want to accept Credit Card Payments from your Clients? Get a Merchant Account for Credit Repair! *PayPal, Stripe and other common Gateways cannot be used to receive credit card payments or ACH Transfers for Credit Repair. Even if you plan to use our chargebee payment integration you will first need a Merchant Account for Credit Repair and Gateway. We recommend Merchant Services. They have extensive experience in approving credit repair businesses. Their rates are fair and the process is easy. Why is it so difficult to get a merchant account for Credit Repair Business? All merchant account providers consider a credit repair business to be high risk for credit card processing. If you want to accept credit card payments from your clients for "credit repair services" you must have a merchant account for credit repair from a merchant account provider who specializes in these types of accounts. Why can't I just use my PayPal or other common Gateways to charge my credit repair clients? Who is the best provider of merchant accounts for credit repair services? Payment Cloud Merchant Services has extensive experience in approvng credit repair businesses. They specialize in businesses just like yours. They are most likely to approve your account because this is their niche market. Their rates are fair and the process is easy. Fill out the form above and Payment Cloud account executive will contact you within one business day (or less) to answer all of your questions and provide the best solution for your company. 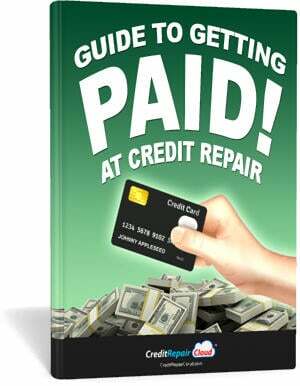 Want to learn more about getting paid at Credit Repair? Get our free guide!